Let's Fund Raise for Team Bettie! On June 3rd, 2012, Carly and I will be running on the Rock 'n' Roll San Diego Marathon. This year we are running to raise money for the National MS Society. As some of you know, my Aunt Bettie (Mom's sister) was diagnosed with MS over 10 years ago. Bettie lives in Colorado and loves to be outdoors. 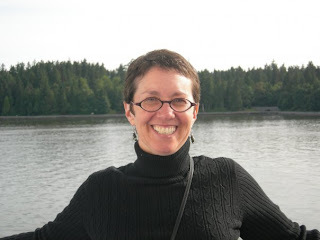 She is an avid biker, skier and traveler. Since her diagnosis, some of those activities have become more challenging but she continues to fight the disease with her positive attitude and amazing sense of humor. We ran from our apartment out to Venice Blvd. and headed north on Fairfax. We crossed through Little Ethiopia on our way to Hollywood. We got to Santa Monica Blvd. and started to head west through West Hollywood, Beverly Hills, Century City and back into our neighborhood in West LA. It's been such a long time since we've blogged that I sort of feel like we're starting over again. I really do hope we can keep up with it this time. We started to train for a full marathon so I feel like blogging will definitely help with the whole process. We just finished our 4th week of a 16 week training program for the Rock 'n' Roll San Diego Marathon on June 3, 2012. More on that soon. Since out last blog our main accomplishment has been finishing another half marathon (The Carlsbad Half Marathon). That race was particularly tough for me because I was battling some knee issues. I took about 4 weeks off of running before the race to allow my knee to heal but on race day the pain returned at about mile 8. On top of that, I got a horrible blister on my right foot at about mile 7 that rubbed all the way to the finish line. Since I had to stop frequently due to the knee pain and blister, Carly ran ahead of me and we did the last 5 miles of the race apart. That was a different experience for both of us because we usually push each other during a race and for the last part we had to find our own motivation. Carly ended up finishing the race with a time of about 1:57:00 and despite my alements I finished about 10 minutes after her with a time of 2:07:00. It was not a personal best for either of us but we were not disappointed with our performance. Every time I run a half marathon, I always wonder where I'll find the strength to run a full marathon. I know I need to keep my knees healthy or the full marathon won't happen for me. I am making a commitment to myself to keep up with my knee strengthening exercises and stretches. My goal is to do some every day leading up to the race. If I can keep the muscles strong and the tendons loose then I should be able to steer clear of the pain. Fingers crossed! Now for some current events. As I mentioned before we are in our 4th week of training and this weekends run was an 8 miler. As I type this blog I am actually on a plane on the way back from a business trip to New York. Since Saturday is our long run day, we ran separately this morning - me in New York and Carly at home in LA. Carly's route this morning took her down near Playa Vista and past the building I work in and lopped back home. After having some difficulty with a 5 mile run on the treadmill earlier this week, Carly really enjoyed this new route outdoors in some beautiful 60+ degree weather. When I'm in NY I love to run in Central Park. This morning it was 28 degrees Fahrenheit when I started my run. With the windchill it was closer to 20 degrees. This was by far the coldest run I've ever done but surprisingly it wasn't that bad. 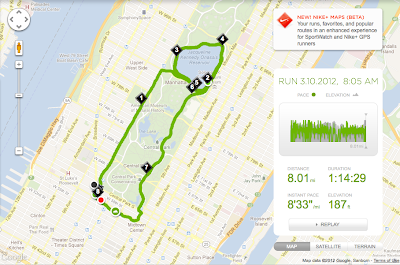 I ran from the Hudson Hotel (where I stayed) near Columbus Circle to the entrance of Central Park at 86th street. I then did a few laps around the Jackie O Reservior and ran back to the southern part of the park and finished up right near the hotel. I had some minor knee pain about half way through but after some more stretching I was good to finish the run. There were times when a strong gust of wind during the run chilled me to the bone but I was able to keep pretty warm (mostly thanks to my head-to-toe Lululemon gear: beanie, jacket, gloves and pants). That's about it for now. More frequent updates coming soon. For the marathon we will definitely be doing some fundraising. I will post all that info here and on Facebook and Twitter once we have it. I can't believe it's been almost 6 weeks since we last posted! I don't think I'll take the time to fill you in on everything that we did since the last post so just imagine that it was AWESOME! On the eating front, the big news in our house is that we got a brand spanking new Kitchen Aid Artisan Series stand mixer. The next day we busted our our Martha Stewart cookies cook book and made a few batches of her Banana-Walnut Chocolate Chunk Cookies. You'll just have to take our word that they are delicious! Back on December 27th, we went out for Carly's birthday to a great little Italian restaurant in Venice called Ado. It is definitely one of those places that someone needs to tell you about because it's pretty hidden and not in an area where you'd accidentally stumble upon it. We shared an amazing home cured duck prosciutto appetizer and then each had a pasta for dinner that paired nicely with a bottle of chianti. Buon compleanno! When we started this blog I thought I'd be able to avoid cat related posts but alas I could not resist. A few weeks ago we welcomed a new 4 month old kitten to our house. His name is Louie and he is a ball of boundless energy. So we’re officially half way through our month detox/diet program and going strong. First week was pretty easy, but we started to get some cravings between week 1 and 2 which means Halloween night will only be that much sweeter when we come off the diet. We’ve managed some meals out, though. We went to BJs with Clayton’s family; they even have a gluten free menu. We settled on a big steak salad without the blue cheese and substituted ranch for honey mustard. Another night we went to see a hilarious comedian Paul F. Tompkins in Glendale with Clayton’s brother and planned on eating at CPK who also has a gluten free menu (even just a couple years ago this kind of diet would have been that much harder), but when we couldn’t find the restaurant we opted for protein style burgers at In-N-Out (and happily enough fries are allowed – no gluten or sugar there!). We recently went to Killer Shrimp in Marina del Rey and had the Shrimp bowl (traces of dairy in the broth) and the filet mignon (butter sauce on the side) with the asparagus side. Both were absolutely delicious and didn’t compromise our diet. This actually was the night we brought home our newest addition, 3 month year old kitty who we named Louie after Louis C.K.’s TV show (and it didn’t hurt that he is light orange in coloring)! For our second anniversary, Carly and I took a trip to Catalina island just off the coast of California. It was her first time visiting and my first time since going with my parents over 20 years ago. We took the Catalina Flyer ferry over from Maria del Rey and stayed at the Snug Harbor Inn in Avalon. We spent our time eating and taking in the sights on the island including the Wrigley Memorial Garden, The Descanso Beach Club, The Catalina Zipline Eco Tour, the Under Sea Gardens Glassbottom Boat and many other things. I made a video all about it so check it out right here! Clayton and I are trying a combination of two detox/diet programs - one called Arbonne called Figure 8 and the other called Fresh Start - that my brother Eric and his husband Ryan did at the start of the year and liked. To give you a basic idea you remove all simple carbs (gluten, wheat, etc. replacing with brown rice versions of pasta, bread), sugar, dairy, caffeine, and yeast promoting foods including alcohol and vinegar, and veal/pork (grass fed beef in moderation, chicken, and seafood is okay) for 1 WHOLE MONTH. Arbonne does sell nutritional and cleanser products that you can use in conjunction with the program, but we are opting out of that because we don’t want the extra costs and want to keep this as realistic as possible. The goal is to remove your body of toxins that can lead to extra weight (toxins are drawn out of vital organs and stored in fat cells), tiredness, poor skin health, headaches, etc. Also many people don’t know that they have an allergen towards a certain kind of food and by eliminating the common causes (gluten, dairy, soy protein, etc.) 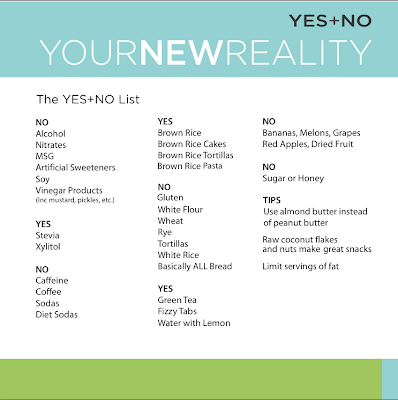 and slowly reintroducing one at a time back into your diet after the month, you can see how different kinds of foods affect you (it literally takes seeing how you feel just 30-60 minutes after having that kind of food again to see if it has any affect on you). The post-program advice is the 80/10/10 rule, “80% of the time follow the 4 week principles, 10% of the time stray slightly (perhaps have a roll at dinner, eat a slice of pizza), 10% of the time FORGET IT (have a glass or two of wine and your favorite dessert...ENJOY!! ).” More we want to force ourselves to try meals and foods we wouldn’t otherwise try and incorporate them into our regular diet after we finish the program. It's been a few weeks since our last post mostly because we finished our most recent half marathon and we took some time off from working out. But, now we're trying to get back into running and the first step for me was new shoes. During our last 2 half marathons, I noticed that during the longer runs I was experiencing some pain right in the arch of my right foot. I have been running in some very supportive Brooks shoes that work well for flat footed people like me but they were not allowing my foot to move very much. So, I visited our local running store, Top to Top, and the Shoe Doctor there recommended the New Balance M1260.